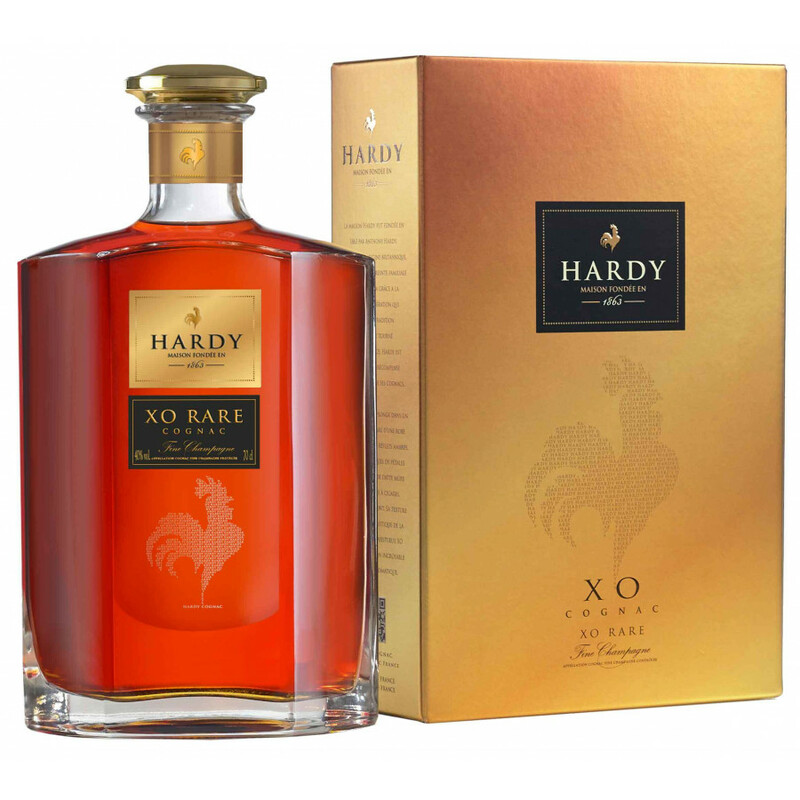 The Hardy XO Rare Cognac is part of the 'Tradition' Range by this top quality Cognac house. The blend is superbly aged - with a beautiful amber color and incredible smoothness of taste. A real treat for all the senses, it delights with it's good looks, tantalising aromas, ever evolving palate and satisfyingly long finish. Presented in a contemporary, decanter style bottle, it displays beautifully atop a drinks cabinet. As with all of Hardy's Cognacs, this represents exceedingly good value for money. It's one of the signature aspects of their offerings - almost unbelievable high quality for the price. A great buy.